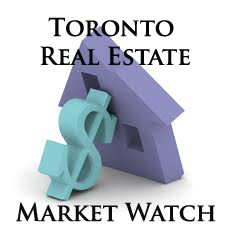 The Toronto Real Estate Board reported 92,394 sales in calendar year of 2017. This total was down 18.3% compared to the record set in 2016. The average selling price for 2017 as a whole was $822,681 – up 12.7% compared to 2016. This annual growth was driven more so by extremely tight market conditions during the first four months of the year. In the latter two-thirds of 2017, fewer sales combined with increased listings resulted in slower price growth. In December, the MLS® Home Price Index (HPI) Composite Benchmark was up by 7.2% year over year, and the overall average selling price was up by 0.7% year over year. Home price growth in the second half of 2017 differed substantially depending on the market segment. The detached market segment – the most expensive on average – experienced the slowest pace of growth as many buyers looked to less expensive options. Conversely, the Toronto condo market segment experienced double-digit growth, as condos accounted for a growing share of transactions.